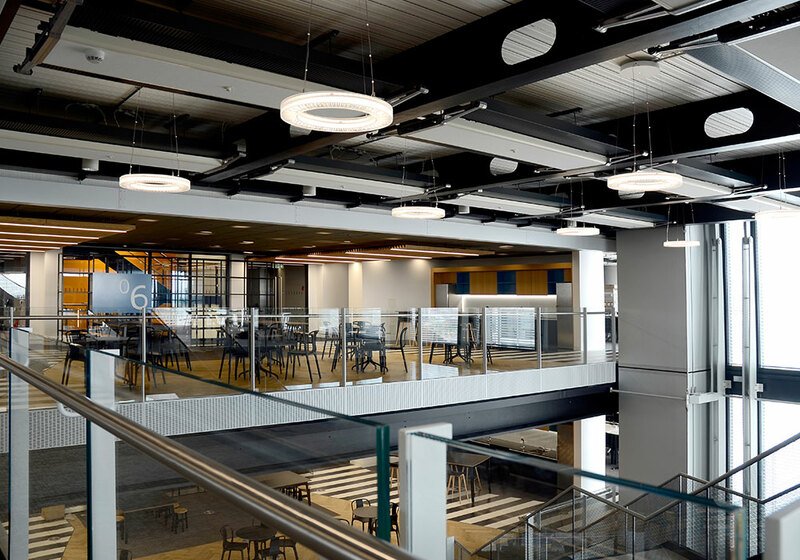 Balguard was awarded the contract to manufacture and install architectural metalwork items at TIQ in Stratford, London. 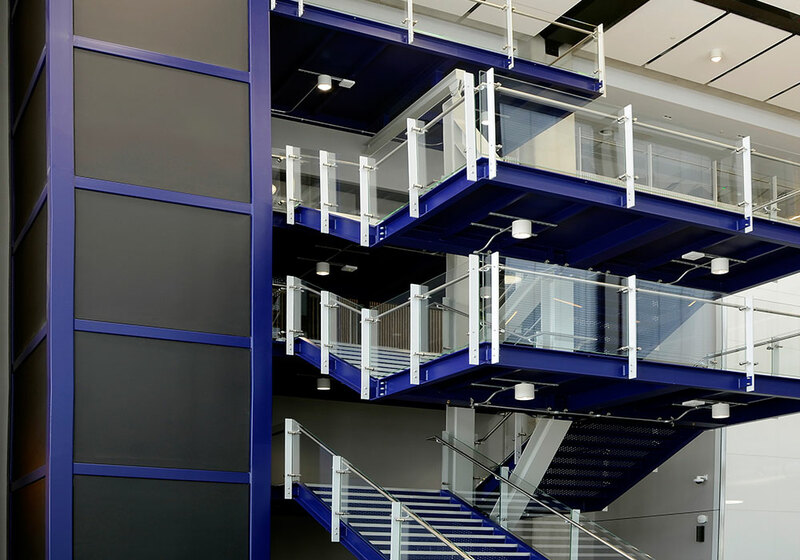 The scope of works included a reception foyer lift shaft structure, an adjoining feature staircase and landings supported by a bow string vertical truss. 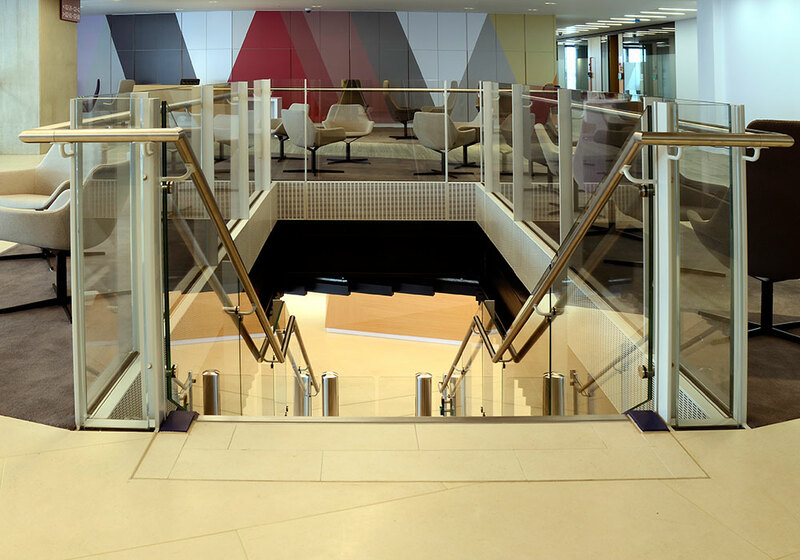 In addition, balustrade systems to the atrium slab edge were installed on 14 floors together with bespoke architectural acoustic cladding panels. Roof level balustrades, A.H.U roof platforms, internal staircases, cycle racks and back of house staircase balustrades/railings were also fabricated and installed. A major challenge was constructing a lift shaft structure to the tolerances required. This was built in our factory and sent to site in transportable sections entering through an access area left open by the façade cladding contractor. Sections were then turned and lifted on top of each other forming the lift shaft as a single freestanding structure. 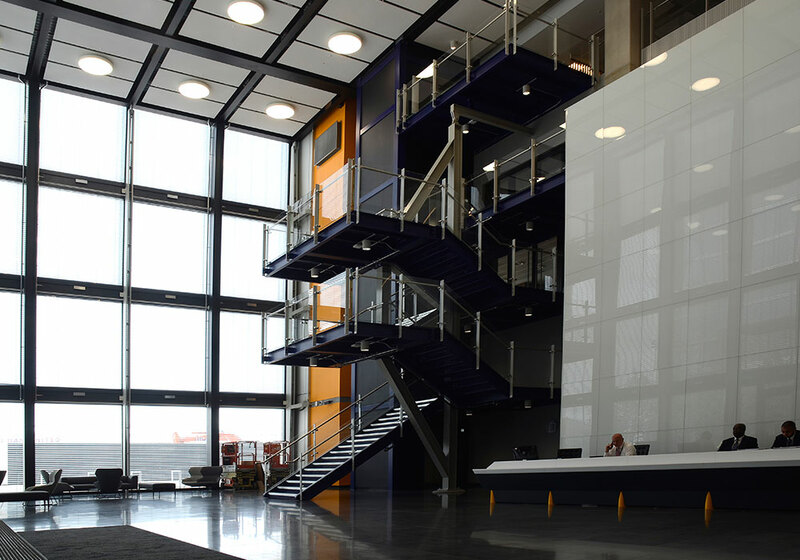 A cantilevered feature staircase and landing platforms were connected to the lift shaft, quality and accuracy were key to this installation. 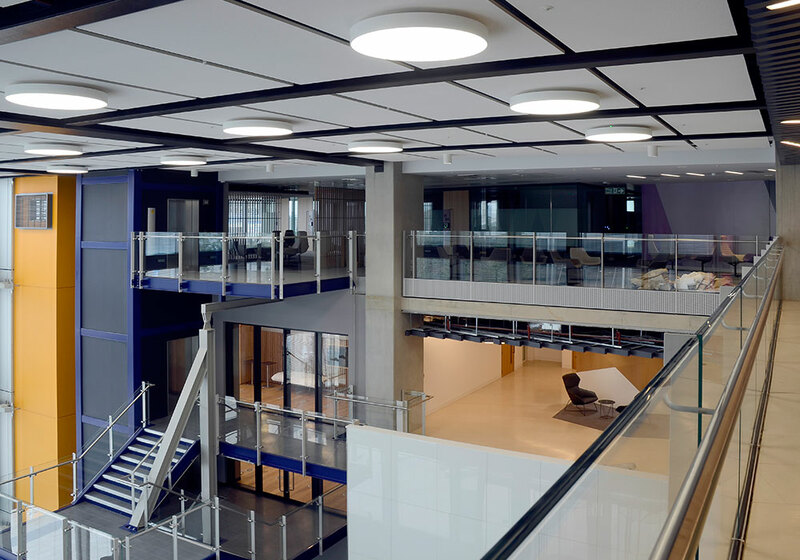 The atrium balustrade with acoustic panels were installed to 14 levels. We took into account all floor slab tolerances, including deflection, and in addition all interfaces with the floor, ceiling and wall trades. 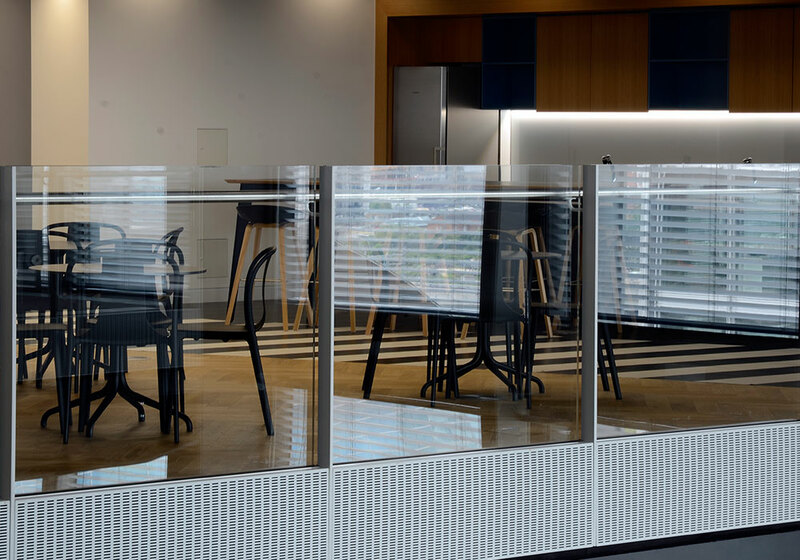 We were responsible for the design, development, production and installation of the acoustic panels ourselves, which met the designers exacting requirements. The roof A.H.U. structural platforms required installation after the tower crane was removed creating logistical and access issues. The resulting structure was splice jointed to fit inside the goods lift, carried up to the roof, manoeuvred around services and successfully installed. It was essential that no damage was sustained to existing plant in this installation. Overall the project was delivered to the highest standard possible and completed on time and to the programme.